There are probably a lot different tools for drawing 16×16 images but I found a quick solution that works surprisingly well. 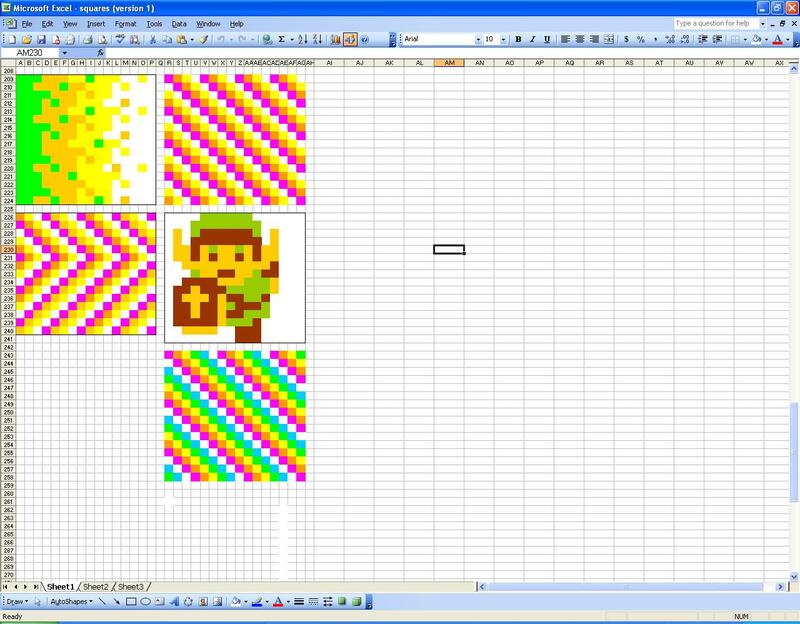 I just use a standard spreadsheet and multiselect/set all the columns to squares. After that you can easily change the colors of each cell using the cell formatting “paint can” If you want to change a bunch of cells at once, hold the CTRL down while clicking the cells you want to change. This will allow you to select them all. This entry was posted in Mosiac Project, Uncategorized and tagged 8-bit art, Excel. Bookmark the permalink.